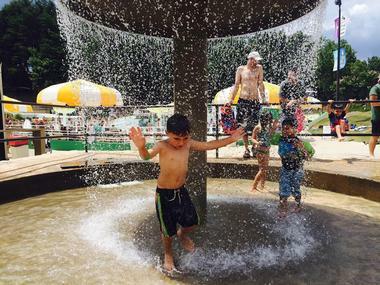 Families looking to escape the summer heat in Georgia might first think of heading to one of the many lakes in the state, but the area is also home to plenty of excellent, family-friendly water parks and aquatic centers. Water parks are the perfect place to cool off on a warm summer's day, and the ones in Georgia offer something for people of all ages and abilities. 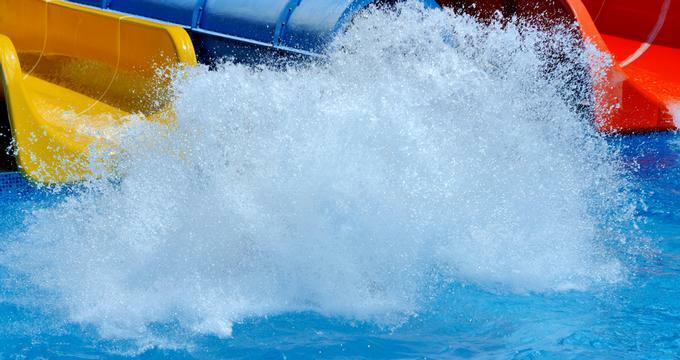 Here are the best water parks in Georgia. Splash Island is a water park located in the Wild Adventures Theme Park, and admission to the water park is included in admission to the theme park. The park is open every weekend in the summer and is home to water slides of all shapes and sizes, as well as a water play area for toddlers. Visitors looking for more privacy can choose to rent out cabanas for the day, which hold up to eight people. Season passes are available for purchase, and passholders benefit from exclusive perks like bring-a-friend-for-free days and early access to the water park every Saturday morning. The Caribbean-themed water park inside Six Flags over Georgia Water Park is known as Hurricane Harbor, and the price of admission is included with admission to the theme park. Highlights of the park include a giant wave pool, a zero gravity wave slide, and an interactive children's play area. Those who wish to participate in water park activities must wear lined swimsuits; street clothing and athletic wear are not permitted in the water areas. Food and swimwear are available for purchase on site. Licensed lifeguards are stationed throughout the park, and life vests are available to guests free of charge. Located on Jekyll Island, the Summer Waves Water Park is a family-friendly attraction with activities for all ages. 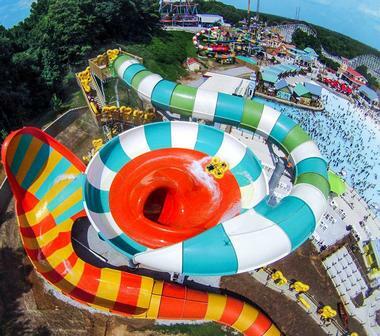 Thrill-seekers can try out a 40-foot water slide, while those looking to relax can go for a float down the lazy river. A gift shop is on site, and a kiddie pool area is available for children under 52" tall. Group rates and season's passes are available, and the entire water park can be rented out for parties. Hours vary depending on the season, and the water park occasionally hosts special events like "swim up" movies and water aerobics classes. Six Flags White Water is a 69-acre water park that's been open since 1984. More than 20 water slides can be found at the park, ensuring that people of all ages and abilities will enjoy themselves. Several ATMs are located throughout the park, as are various dining establishments. Lockers can be rented by the day, and groups wishing for more privacy can rent out a private cabana with a seating area and private food service. Children two and under get free admission to the park, and tickets can be purchased either at the gate or online. 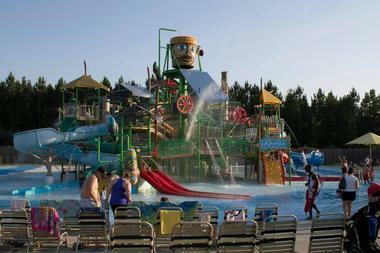 The LanierWorld water park is found inside a 1,500-acre resort located only 30 minutes away from downtown Georgia. In addition to a large wave pool and a wide variety of water slides, the park offers plenty of swimming opportunities on its private sandy beach. Splash in The Boro is a water park and aquatics center that offers swim lessons for people of all ages and abilities. The park features a wide range of slides and pools, including a lazy river, a water playground for toddlers, and a five-lane racing slide. Cabanas with an eight-person capacity are available for rent; it is recommended that guests make reservations two weeks in advance. Admission fees to the park are based on height, and group rates are available for large groups of 20 or more. Outside food is not permitted, but a snack shack and a sandwich shop can be found on-site. High Falls Water Park is a family friendly water park with no height or age restrictions for their water slides. Children will love the pirate ship play area, and the whole family can enjoy sliding down the park's two water slides, splashing around in the pool, or lounging in the sun. High Falls is open 7 days a week throughout the summer, and lifeguards are on duty at all times. A concession stand can be found on-site, but guests are welcome to bring in their own food and drinks. The park is available for private parties most evenings, though reservations are required in advance. Open throughout the spring and summer, the Neptune Park Fun Zone is a great place to spend time in the water. Children can splash around in the wading pool or play on the park's water gym, while anyone interested in getting some exercise can join a water aerobics class or make use of the lap pool. After working up an appetite, guests can grab a bite to eat from the on-site concession. Both American Red Cross Swimming Lessons and private swim lessons are offered at the park, and group admission rates are available upon request. Helen Tubing and Water Park is Helen's largest attraction, and it offers guests the chance to both splash around in the water park and enjoy a tube ride down the Chattahoochee River. The water park features a lazy river, a rock climbing wall, and several water slides of varying size. For guests wishing to tube, the company offers several pick-up locations to choose from as well as both full day and single trip packages. A trip down the river typically takes around 2 to 3 hours, and unlimited tubing is included with the price of admission to the park. Open since 2015, Surf Lagoon Water Park features a kid-friendly water playground, a winding lazy river, and several four-story water slides. Hours vary depending on the season, so guests should make sure to check the website or call ahead to ensure the park is open on the day they wish to attend. A limited number of season passes are available for purchase, and groups of 20 people or more qualify for a special daily admission rate. Several private cabanas can be rented, and the park also features a private party room for birthdays and other special occasions. Located in a 500-acre recreation complex beside the Chattahoochee River, Boundary Waters Park is home to an 8-lane heated competition pool as well as a 4-lane heated therapeutic pool. A wide variety of swimming lessons are offered, including SEALS swim lessons, private lessons for both groups and individuals, and special classes for parents and their young children. 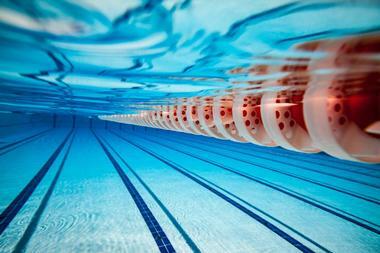 The aquatic center also regularly hosts fun events open to the public like underwater egg hunts, triathlons, and water aerobic classes. A private birthday party room can hold up to twenty people and must be reserved in advance. The Bogan Park Aquatic Center includes an indoor pool with a comfortable zero-depth entry as well as an indoor competition pool. The facilities are family friendly, and children can entertain themselves on a giant water slide as well as on a variety of water play structures. Group swim lessons, water exercise classes, lifeguard training courses, and a variety of other aquatic activities are regularly offered, and private or semi-private swim lessons can be arranged upon request. Groups wishing to host organized activities in the lap lanes must book the space in advance, and the entire facilities can be booked for private events on evenings and weekends.